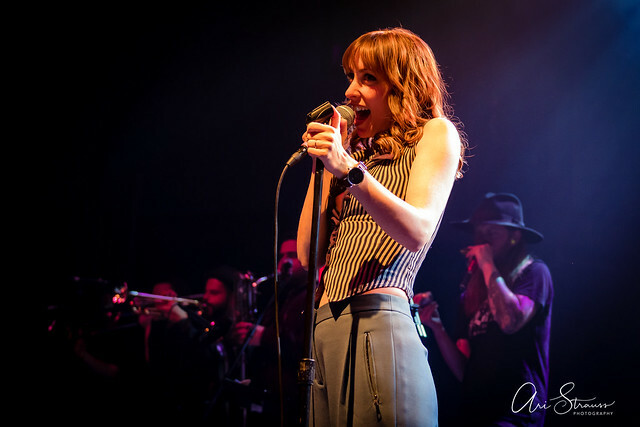 Posted on 12/04/2018 by Ari Strauss	in Live Review and tagged 9:30 Club, brass band, New York City, Sister Sparrow, Sister Sparrow & The Dirty Birds, soul. How does such a beautifully soulful and booming voice come from such a small person? That is the question that first entered my mind when Sister Sparrow & The Dirty Birds took the stage recently at the iconic 9:30 Club. Posted on 11/22/2018 by Mickey McCarter	in Live Review, Preview and tagged 9:30 Club, New York City, Sister Sparrow, Sister Sparrow & The Dirty Birds, soul. Sister Sparrow (the stagename of Arleigh Kincheloe) recently released a new studio album, Gold, via Thirty Tigers. Sister Sparrow & The Dirty Birds are on tour with a stop at 9:30 Club on Thursday, Nov. 29.